This opinion piece seems not to have appeared online*. 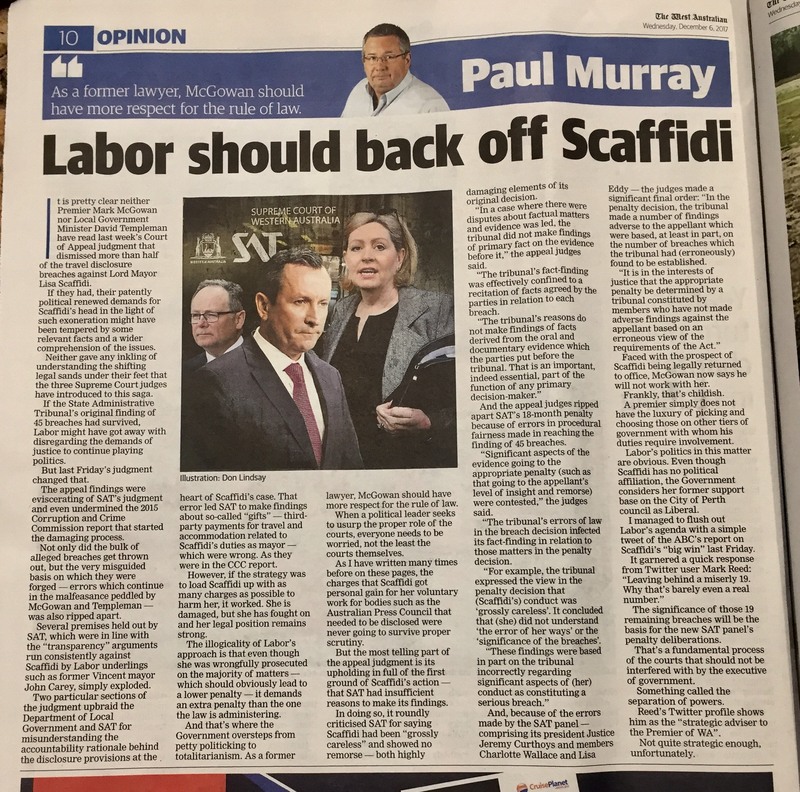 Regardless of your view on Lisa Scaffidi, its implications matter. *Opinion Piece as appeared in paper form and via subscription, but not found online at https://thewest.com.au/ by CanningAccountability (reporter notified by email). Published by The West Australian, 6 December 2017.